A wrong mattress can be a very uncomfortable thing and can really affect your sleep and health without you even knowing it. So are your using a wrong mattress? 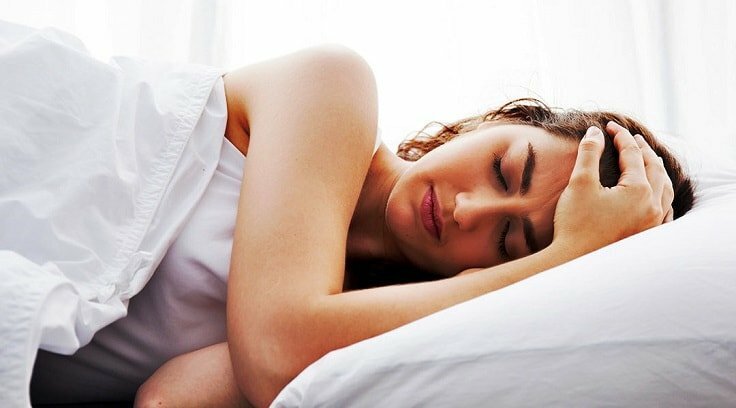 Here are 5 ways how your mattress affects your sleep and health. Most of us spend about a third of out lives in bed. Yet many do not give enough attention to what they sleep on – their mattress. Many people spend more time selecting a comfortable, adjustable car seat than they do choosing a mattress. In fact, many people use their mattress way long after its useful life. If you want proper, refreshing sleep then you need the proper equipment to enable it. A comfortable mattress with the proper support can make an amazing difference to the quality of sleep. Here are some ways in which your wrong mattress affects your sleep and health. Many people take special care when purchasing a mattress to make sure it does not contain substances they are allergic to. Take latex for example. Latex foam is often used in mattresses, and if you know you have a latex allergy be careful to avoid these. You can avoid contact with latex and other chemicals by using an allergy-proof slip sheet over the mattress. However, as you use the mattress, your skin cells flake off onto, and into, the mattress. We shed around 600,000 skin particles an hour. 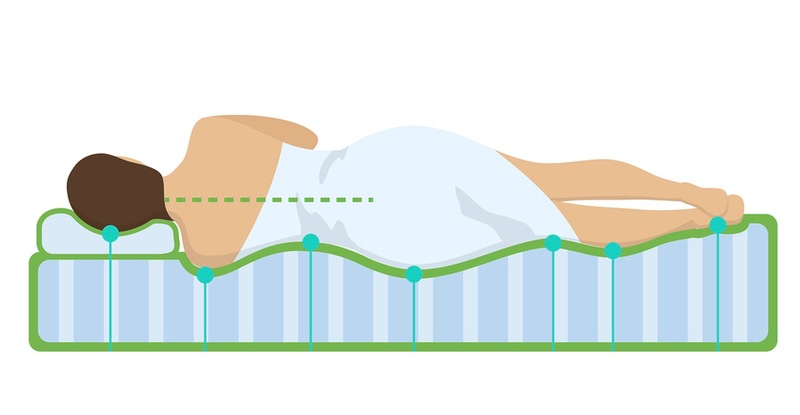 If you sleep around 8 hours, that equates to roughly a half pound a year into your mattress. It doesn’t sound much but dry skin cells are very light, and a half-pound of skin is a heck of a lot. You don’t get allergies from skin cells – but you do from the dust mites that feed off them! Washing your bedding regularly helps, but eventually you would have to change your mattress to remove the source of your allergy. 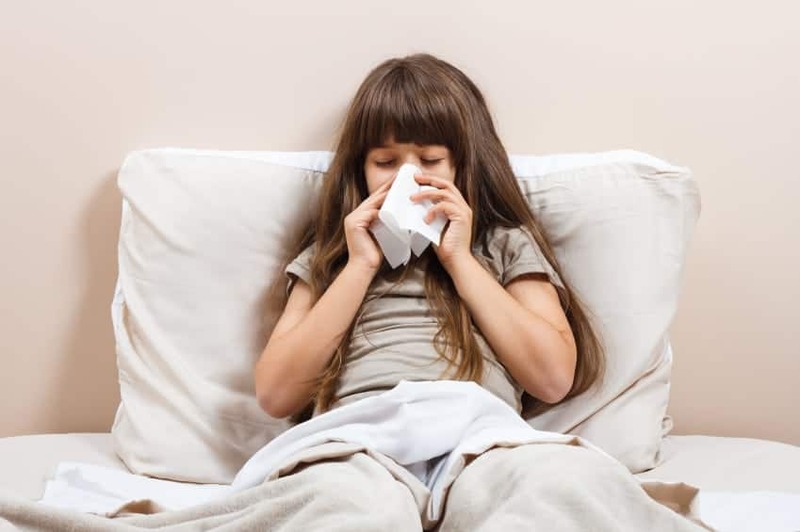 Not all people are affected by dust mites, but if you get a runny nose, sore throat or sneeze a lot while in bed, then that is the likely cause. They can also be an issue if you have asthma. Use an impermeable mattress cover that don’t let skin cells into the mattress. Then make sure you vacuum the mattress regularly, and wash your bedding. A professional shampoo of the mattress may also help if this is a genuine problem for you. 2. Hard, Medium Or Soft? Many people think that a soft mattress will be more comfortable than a hard mattress. ‘Ultra-plush’ sounds wonderful, but not if it gives you a sore back! Also, what is ‘medium’ – maybe that’s a good compromise between ‘hard’ and ‘soft’? Not true: too soft a mattress can fail to provide proper support for your neck and spine. This can lead to neck pain and lower back problems. Even a so-called ‘medium’ mattress can be too soft for many people. Test drive the mattress. Lie out flat on it, and also in your normal sleeping position, to see how it feels. If it is to sleep you and a partner, then both try it out. You may have to compromise if partners differ widely in weight. It may also pay to purchase your new mattress from a website or manufacturer that allows you to test it for a period. Some offer a 100-day trial period if purchased from Amazon. If it’s a wrong mattress and you don’t like it, return it within 100 days for a full refund. Sleeping on an old mattress can generate stress in addition to back and neck pain. A 2015 test by the U.S. National Sleep Foundation found that sleeping on a new mattress can significantly lower stress levels in healthy subjects. It was deduced that this was due to improved quality of sleep and reduced pain in the back and neck when sleeping. Most people are unaware of the small changes taking place in their mattress as it ages. Your quality of sleep gradually reduces until you may begin to feel irritable. You may also feel slight pains in your back and stiffness in your neck because of the wrong matterss. That may be the time to change your mattress, or perhaps your mattress was not the correct one for you from the start. Your sleep can be disturbed unknown to you by movements of your partner lying beside you. That can lead to you feeling less rested when you wake up. You may then want to consider a memory foam mattress or pocketed spring mattress that protect you from movement by your partner tossing and turning. Some latex mattresses can also isolate partner movement. If your mattress is over 8 years old, you may want to consider getting a new one. Check out a few different types of mattress: Latex foam, memory foam, innerspring, pocketed spring, or a combination of two or more of these. Get the correct mattress right from the start by trying it out in the store first. If there are two of you then try it together. When you know the mattress you want either buy it form the store or go online to Amazon. You can often get a good period to try it out before deciding to keep it. Use a good mattress comparison site such as Free Your Spine to give you some ideas. Don’t rush and pick the one marked as “BEST”. Try to form your own opinion based on the comparisons you’ve found online. 4. Do Not Work In Bed! Some people take their computer bed to work. 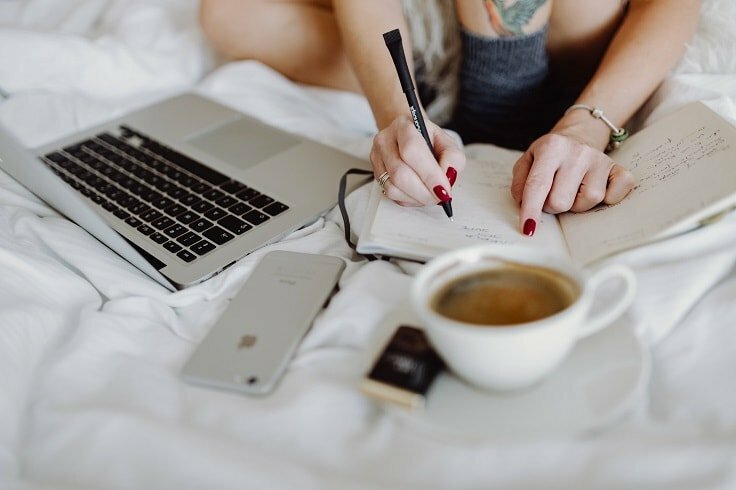 Others use their bedroom as a home office. Both are bad for you and can affect your sleep. The experts generally agree that the bedroom should be used only for love and sleeping. If you use the same room for work, or use your laptop in bed, your brain will come to associate the room with that. Once you get into bed, you brain will be waiting for you to begin work and your quality of sleep will suffer. 5. Can’t Sleep Or Feel Tired When You Wake Up? The best preparation for sleep is exercise. If you find it difficult getting to sleep, perhaps your body is not tired enough. Your brain may be, but perhaps you are not physically ready to sleep. You may fall asleep, but you might also toss and turn and still feel tired come morning. A good walk or exercise routine before bed can make a huge difference to many, particularly if your mattress is getting old. If you get into a night-time routine, your body and brain will begin to associate that with sleeping. Then, when you get snuggled up bed, it will be morning before you know it. Going to bed at the same time each night also help. Many successful entrepreneurs, even those who sleep short hours, make it a habit to go to bed and rise at the same times every day. They say that such a habit keeps them fresh and ready for work even if they sleep short hours. So, do you use a wrong mattress? As discussed above, your mattress affects your sleep and health in many different ways. For all of them, a new mattress is a solution – but not the sole solution. Keeping your mattress clean will help resolve or reduce some issues. So will flipping and turning the mattress to help maintain its support.Among the most affective solutions are choosing the correct mattress to begin with. Try it out – with your partner if appropriate. Read the reviews for the various mattresses. They all make great claims, but user comments give you the real story. Then buy a good mattress from a vendor that enables you to test it at home for a time then get a refund if it is not to your liking.